Currently, more than 3 million Americans suffer from a condition known as tooth sensitivity. This sensitivity may be from eating or drinking beverages that are hot or cold or even consuming something sweet. After having this sensitivity for an extended period of time will cause a person to avoid their triggers. Even though triggers are avoided the problem still exists and should be addressed by your dentist. They will be able to find a solution to reduce or eliminate your sensitivity. Tooth sensitivity is a condition that usually comes and goes. It can rarely be predicted. A lot of times this condition is benign, but it can be a symptom of exposed dentin around the root areas of the teeth. If the condition is being caused by exposed dentin, the underlying cause could be early signs of gum disease or receding gums. The crowns of your teeth, or the exposed white portion, is covered by enamel. The root portion of the tooth is covered with cementum instead, leaving it more vulnerable. When enamel or cementum wears away or erodes, the nerves become exposed which makes them sensitive to outside elements. To understand how this could happen, you need to understand the causes of tooth erosion. Even though many of the conditions that cause tooth erosion seem like severe conditions, they can be treated effectively through a general dentistry Crest Hill IL. 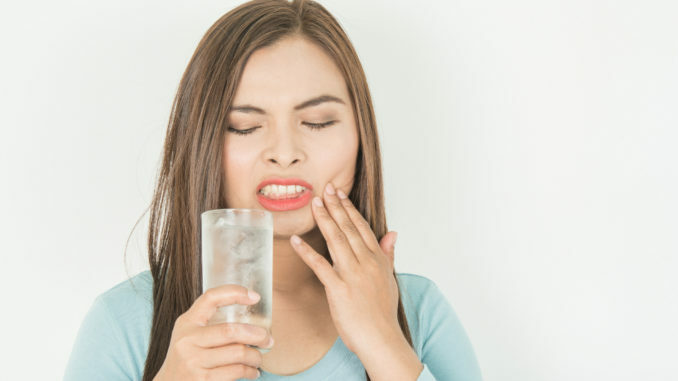 It is very important for you to talk to your dentist about any pain you have, including sensitivity to typical triggers, like hot, cold, sweet, or acidic items. The first thing your dentist will want to do is make sure there are no cavities or decay present. These conditions will be treated if they are. There are other treatments available for treating sensitivity. One of the most recommended treatments for mild cases of sensitivity includes using an ADA approved toothpaste that desensitizes sensitive teeth. Other patients may require a filling or a gum graft. Severe cases may require a root canal. After your tooth sensitivity has been treated, you may need to consider dietary changes to prevent it from returning. By eliminating foods and drinks that are extremely acidic, high in sugar, and drinks that contain alcohol from your diet you will reduce your risks of it returning and impacting your life. Notify your dentist at the first sign of pain. While many people assume that sensitivity and pain come hand-in-hand with having teeth, the truth is pain almost always hints that something is wrong and should be addressed by a dentist right away. it could be part of an underlying dental problem or an infection that is not showing any other symptom yet.